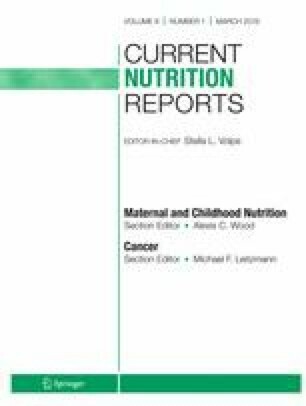 This systematic review reports the latest scientific evidence, from cross-sectional and cohort studies, describing the dietary intake of children and adolescents from Brazil. The goal of the review was to describe intakes according to Brazil’s new food classification system (NOVA) which classifies foods according to the degree of processing, i.e., unprocessed/minimally processed, processed culinary ingredients, processed food, and ultra-processed food. Due to a paucity of data using the NOVA classification system, studies with other intake descriptors were included. Results using the NOVA system showed a somewhat high intake of (ultra-)processed items, than of minimally processed items. Studies using other methods of dietary assessment showed not only high intake of sources rich in fat, sugar, and sodium, most of them processed items (e.g., savory snacks and sweets) but also intake of fruit, vegetables, and whole grains. Overall, the literature was marred by inconsistencies and variation in study definitions and methods making it hard to make firm conclusions regarding the dietary intake of Brazilian children. The development of tools to evaluate the complexities of dietary intake is much needed. Such a tool needs to be accepted and adopted by numerous study groups, to describe dietary status among Brazilian children and devise the most effective, and to evaluate the success of nutrition education programs. Ana Carolina Barco Leme declares that she has no conflict of interest. Regina Mara Fisberg declares that she has no conflict of interest. Debbe Thompson declares that she has no conflict of interest. Sonia Tucunduva Philippi declares that she has no conflict of interest. Theresa Nicklas served as chair of a workshop sponsored by the Nestlé Nutrition Institute (Switzerland) and received reimbursement for travel expenses as well as an honorarium for her participation. She has also received compensation for proposals, manuscripts, and presentations contributed to Nutrition Impact, LLC. Tom Baranowski declares that he has no conflict of interest. •• Leme AC, Baranowski T, Thompson D, Philippi S, O’Neil C, Fulgoni V, Nicklas T. Top food sources of percentage of energy, nutrients to limit and total gram amount consumed among US adolescents: National Health and Nutrition Examination Survey 2011–2014. Publ Health Nutr. 2018;1–11. https://doi.org/10.1017/S1368980018002884. This article highlighted the top food sources of overconsumed nutrients of public health concern of US adolescents, which is critical for designing strategies to help them meet nutrient recommendations within energy needs. Ministério da Saúde. Guia Alimentar para a população brasileira: promovendo a alimentação saudável. Brasilia: Ministério da Saúde, Secretaria de Atenção à Saúde; 2008. http://bvsms.saude.gov.br/bvs/publicacoes/guia_alimentar_populacao_brasileira_2008.pdf. Costa CS, Flores TR, Wendt A, Neves RG, Assunção MCF, Santos IS. Sedentary behavior and consumption of ultraprocessed foods by Brazilian adolescents: Brazilian national school health survey (PeNSE), 2015. Cad Saude Publica. 2018;34(3). https://doi.org/10.1590/0102-311X00021017. Arouca A, Moreno LA, Gonzalez-Gil EM, Marcos A, Widhalm K, Molnar D, et al. Diet as moderator in the association of adiposity with inflammatory biomarkers among adolescents in the HELENA study. Eur J Nutr. 2018. https://doi.org/10.1007/s00394-018-1749-3. Arouca AB, Santaliestra-Pasias AM, Moreno LA, Marcos A, Widhalm K, Molnar D, et al. Diet as a moderator in the association of sedentary behaviors with inflammatory biomarkers among adolescents in the HELENA study. Eur J Nutr. 2018. https://doi.org/10.1007/s00394-018-1764-4. Della Corte KW, Perrar I, Penczynski KJ, Schwingshackl L, Herder C, Buyken AE. Effect of dietary sugar intake on biomarkers of subclinical inflammation: a systematic review and meta-analysis of intervention studies. Nutrients. 2018;10(5). https://doi.org/10.3390/nu10050606.